The Earlybird gets the coins. It pays to wake up early! As most of you know, the NYC Marathon is a few weeks away so many folks are out before 8am doing their pre-marathon training. YAYYYY! Kit, Hub, and myself headed out to Jogger's Park at 7am for some morning sprints and strides. Our favorite lake didn't disappoint either! While I've been a bit down (we sold our truck on Friday), I was happy to have seen some old friends today. 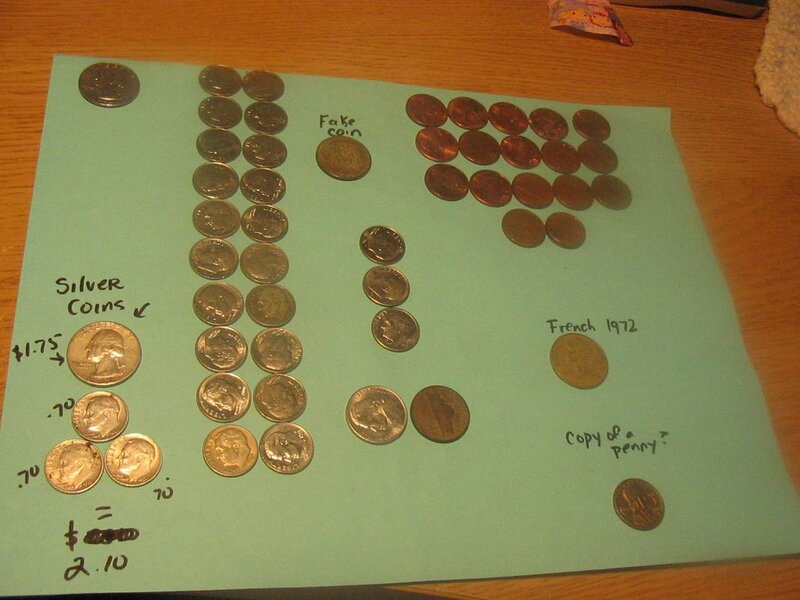 Thanks for the memories, R.
Found Money Totals: Two quarters (one SILVER, one regular), twenty six dimes (three silver! ), two nickels, and seventeen pennies. The dimes were scattered all over the place today... it was incredible!!! Three dimes haunted us at IHOP this morning. We actually left two pennies which got picked up right after we moved away from the register. 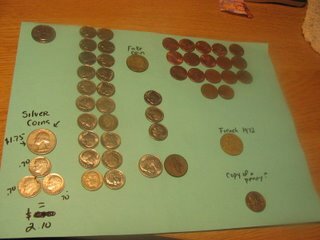 We also found a french coin, a COPY of a penny, and a no cash value token. We get alot of odd coins by the lake here. I overheard one ranger talking about an egret swallowing a silver dollar. I wonder if the egret popped that sucker out and if so, where is it now? hehehe. He gave kitty a bag of teddy graham brand crackers and my daughter looked at him suspiciously. She is no fan of strangers giving her things. Luckily she accepted the uncirculated silver dollar given to her at a recent coin fair... that puppy's now worth seven dollars. "Guys. You're too busy to pick up ping? Baby found a ping." She walked up with one exceedingly dark nickel and placed it in her pocket defiantly. "It's mine for now mommy. Your hands look busy." Now that's what I call courtesy. Wow! now that's a nice haul. Look at all those dimes! No doubt about it, you hit the jackpot.